Kanei-ji Temple was one of the two most important temples supported by the Tokugawa Shogunate, the other of which is Zojo-ji. It was erected by the Third Tokugawa Shogun, in an attempt to ward off evil spirits from the city of Edo. 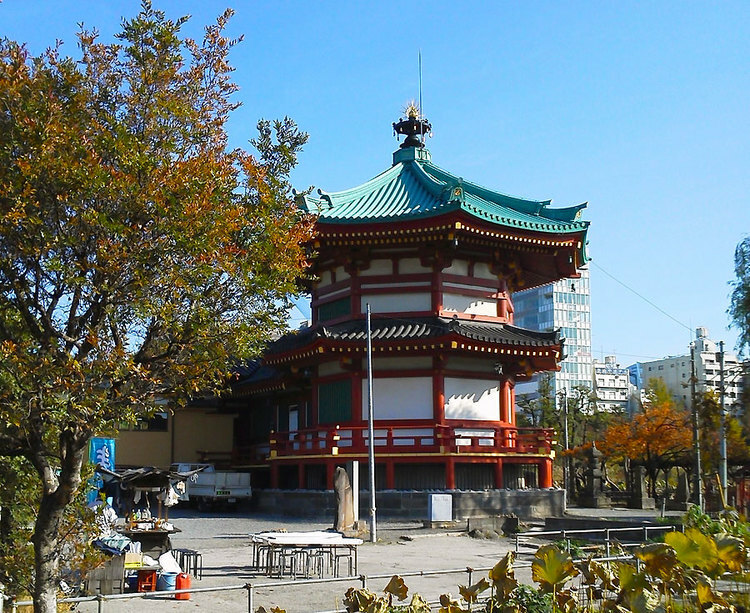 The Temple became a popular place for people from Edo to visit, enabling the Ueno district to become a cultural center in Tokyo in later days. Kanei-ji Temple was founded in 1625 by the Third Shogun Tokugawa Iemitsu. 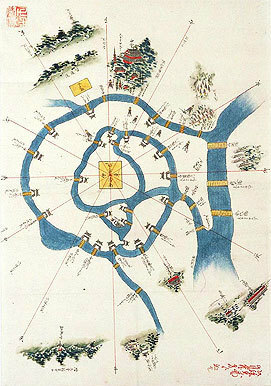 The Temple was one of the two most important temples supported by the Tokugawa Shogunate, the other of which is Zojo-ji. 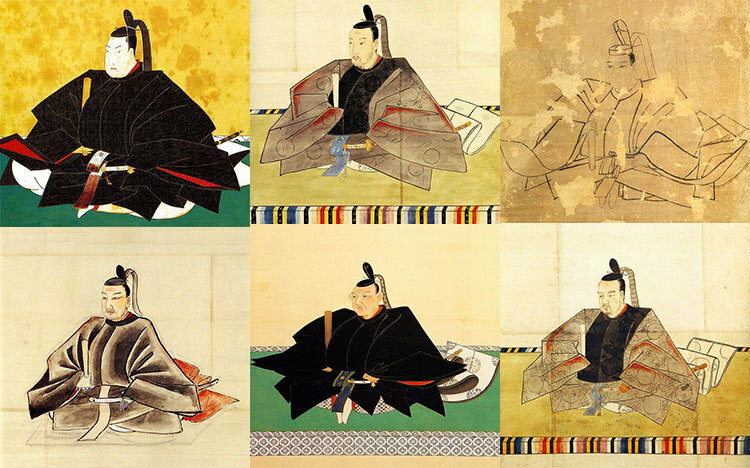 Six Shoguns were buried in Kanei-ji Temple while another six Shoguns were buried in Zojo-ji Temple. Kanei-ji Temple was erected by the Third Shogun Tokugawa Iemitsu, in an attempt to emulate the most powerful religious center Enryaku-ji in Kyoto, which is located in north-east of the city of Kyoto. Kanei-ji Temple was also erected north-east of the Edo Castle, to ward off evil spirits that were believed to come from that unlucky direction. After Kanei-ji Temple was established in Ueno, and authorized by the Tokugawa Shogunate, Ueno prospered as a cultural and commercial town. Merchants and craft workers gathered in the area. 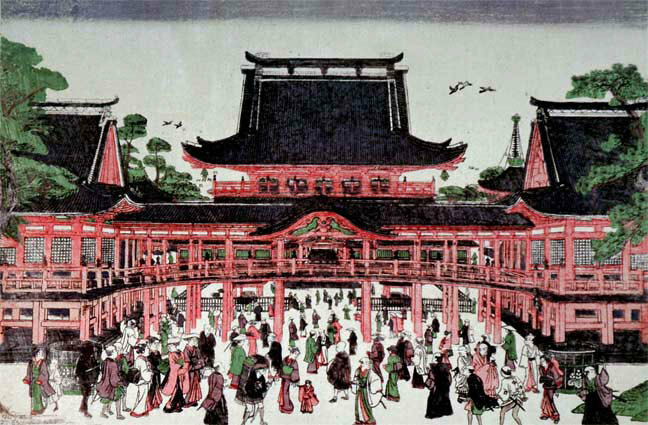 Often many noble people from the castle visited the temple to enjoy walking and shopping around the downtown area of Ueno, as well as to watch performing arts such as Kabuki.